“It is a dance show for children accompanied by their moms or dads for lifting them up.” A unique stage device: a big box with glass walls, and, inside, a female dancer. Children may experience the show from a privileged place, moving around and over the box, following the movements of the dancer. 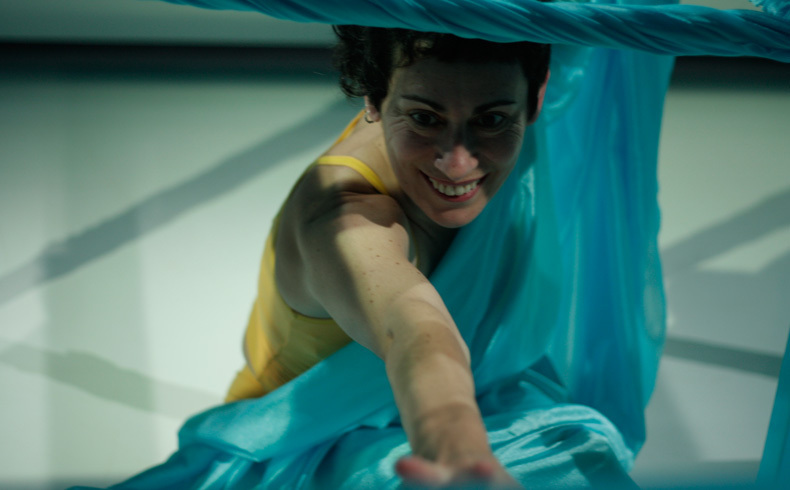 Aupapá is a show made up of gestures, sounds and choreographic movements that allow for constant interaction with the youngest children.The company Zig Zag Danza was founded in the year 2000 as an independent project with an international scope. Its artistic director, Estrella García, has been working in the field of teaching dance and research in dance for more than thirty years. Production and distribution: Zig Zag Danza S.L.